How about a move to the 'second best place to live' in the UK for your GP training? Thinking about the humanities and medicine today whilst planning out the next part of the GP Trainees' Day Release Education Programme. This William Shakespeare poem really sums up our patient's journey through life. A journey which, as GPs, we are privileged to accompany them on - from cradle 'the infant, mewing and puking in the nurse's arms' to grave 'sans teeth, sans eyes, sans taste, sans everything'. Calling all FY2s! Have you applied for GP Training? Are you an FY2? Have you applied for GP training? Do you want to know more about the selection process? If so, this session is for you!! We are running an afternoon session to tell you more about what to expect at the Stage 3 Selection Centre of GP Recruitment. This will be a fun interactive session where you will get the opportunity to do some hands-on practice in a safe and supportive environment. The session will include a mock paper and a number of clinical scenarios. The session is facilitated by GP Advisors from the local Deanery Office who have experience of real life recruitment. The session will be held in Tutorial Room 4, MacGillivray Centre (within Aberdeen Maternity Hospital) on Wednesday 18th January from 2-4.30pm. Roberta Lindeman is a trainee on our Rural Track program in Fort Wiliam and is now in her final year of training having spent her elective year working on the Scottish Leadership Fellowship. Here she talks about her experiences on the Rural Track Program and what attracted her to it. Applications for August 2017 GP Specialty Training are now open!. You have until 4pm on 1st December 2016 to make that all important decision to apply for training for a life in general practice and all that that offers. And where better to apply for that training than the North of Scotland, our three programs offer unrivaled training as evidenced by the results of the GMC survey with trainees rating their experience in their hospital posts as best in the UK. The lifestyle opportunities are likewise unparalleled in all three programs. Still not convinced? Why not read about the experiences of some of our trainees in our trainee blogs or watch the videos on this blog to get a feel for what is on offer in the North of Scotland. Provisional programs and rotations for August 2017 Round 1 GPST recruitment have been announced. There have been significant changes to GP Specialty Training in Scotland for the August 2017 intake. There will no longer be any 4 year programs, all GP training will be in 3 year programs. As well as this, the 4 month rotations that we used to offer in ST2 have now been changed to 6 month rotations in all our programs. These changes have caused significant upheaval to our programs and hence we wanted to let you have sight of our provisional rotations for 2017. Please be aware, they are provisional and may be subject to change and should only be taken as an indication of what is on offer. As things become clearer we will update them. For more information on specific programs follow the links below. Shetland is one of the hubs in our rural Track Program. 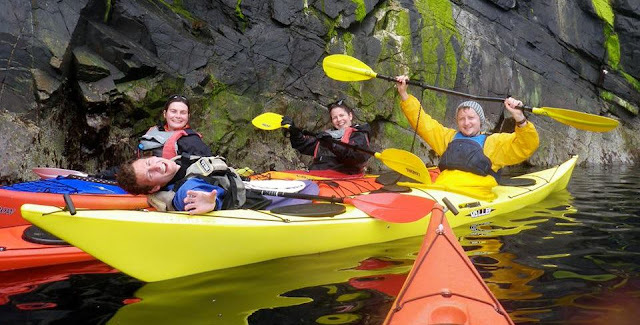 This short video has been created by the Shetland GPs including Catherine Brown, one of our trainee bloggers who has just comlpeted her training and taken up a substantive post in Lerwick. Also featured is Dylan Murphy the educational supervisor for GP Training in Shetland. Interested? Then have a look at Catherine's blog on life as a trainee in Shetland and give some serious thought to joining the Scottish Rural Track Program! A European study has suggested that Scotland has the best quality of life among the home nations. The findings - based on data from 37 regions of the UK - considered factors such as health, safety, access to education and personal rights. Scotland came top of the UK index - scoring 74 out of a possible 100. Wales came bottom with 72 points. The study which features 50 separate indicators, was compiled as part of the EU Regional Social Progress Index. The initiative is a new EU project spearheaded by the European Commission and the Social Progress Imperative, a Brussels-based think tank. Regions' overall scores and scores for the different aspects of social progress data were graded on a scale of 1 - 100. The psychiatry component of the Grampian GP Specialty Training scheme has received recognition of its consistently positive feedback in the annual GMC trainee survey. We take the results of this survey very seriously, it is an important opportunity for our trainees to let us know how we are doing so it's great to receive this very positive message from our trainees. Recognition of important, positive feedback from doctors in training about the quality of training and the training environment in Psychiatry posts in Royal Cornhill Hospital, NHS Grampian. Following the Scotland Deanery GP, Public Health & Occupational Medicine Quality Review Panel that was held on 17 August 2016, I write on behalf of the GP PH OM Quality Management Group to congratulate you and the trainers associated with GP training in Psychiatry in Royal Cornhill Hospital, on the very positive feedback that trainees have provided on their experience of training. NTS - Quadruple green in consecutive yearly data. NTS – 4 or more green flags in a single year and absence of red flags. We appreciate your leadership of training for your Health Board, but also recognise the valuable contribution made by your trainers, and we are delighted to be able share our awareness of the positive feedback that we have received about the training you provide. GP PH OM Quality Management Group"
I know that it probably feels like you have only just started FY2 but the start of Round 1 recruitment for the August 2017 start for GP Specialty Training is fast approaching. As you can see from the timeline below applications open on the 9th November and close 1st December. So why not make that all important decision and choose a career in general practice and even more importantly in the North of Scotland, first for lifestyle and first for training! The RCGP has produced a series of short videos to promote careers in general practice. They give a flavour of the variety that a career in general practice can provide. In the recent 2016 Royal Bank Of Scotland Children's Quality of Life Survey, Shetland, Orkney and the Western Isles have been voted as the best places in the UK to bring up children. So what makes the northern tip of Scotland Islands such a good place to bring up children? The average primary school class size (17.0) and pupil to teacher ratio (PTR) in secondary schools (10.0) in the Western Islands are the lowest in Britain (national averages of 26.9 and 20.9 respectively). The Orkneys follow with primary class sizes of 18.1 and a PTR of 9.3. An average school spend in the Orkneys of £9,281 per pupil is the highest in the survey – just over twice the national average of £4,623. The spending ratio in the Western Islands and Shetlands follow at £9,095 and £8,844 per pupil respectively. The Western Islands have the lowest population densities in Britain with just 9 people per square kilometre – compared to the national average of 276. The Shetlands and Orkneys also have equally low population densities with 16 and 22 people/square km respectively. Children can walk about in relative freedom with an average of 71 vehicles per square kilometre in the Western Islands, 142 in the Orkneys and 145 in the Shetlands, compared to 9,587 in Britain as a whole. 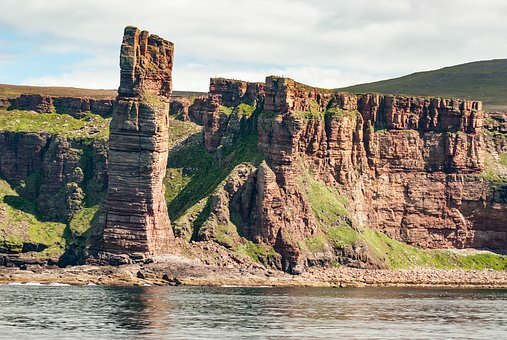 Importantly, the ONS survey on personal wellbeing indicates the Orkney and Western Island adult populations are among the happiest, most satisfied, least anxious and content in Britain. This bodes well for those growing up on the isles. So why not give a thought to applying to our Scottish Rural Track GP Training Program? We have rotations based in all three areas with the hospital component being based in the local Rural General hospitals whilst the GP components are based in the local GP practices. In the recent GMC Trainee Survey the North of Scotland GP Specialty Trainees ranked their experience of their secondary care posts the highest of all the UK deaneries. So why not come and train in the UKs top ranking schemes, first for training and first for lifestyle! It's not us saying that, it is our trainees. Fancy having this on your doorstep? Glenccoe is just along the road from both Oban and Fort William two centres on our Rural Track GP training scheme. Catherine Brown has shared her thoughts about her decision to join the Rural Track GP Training Scheme on Shetland and about her life there. Follow the link to her blog to read more. We have just received our final figures for applications in Round 1. We can now therefore announce that we have the following vacancies available in Round 1 Re-advert. Caledonian, 11 places, 6 three year programs and 5 four year programs. We hope to be able to publish the detail of which rotations are on offer in the coming weeks. This two-day event, which is held annually in different Rural Track locations, was held here in Shetland this year. I was slightly apprehensive ahead of it, as I had organised it!! Much to my relief, the event seemed to be enjoyed by one and all. Fourteen trainees in total managed to attend. Before the formal start on the Thursday morning, quite a few of us managed to gather for a meal on the Wednesday evening. And a trip to one of our local pubs for some traditional music. Thursday morning arrived a few of us ventured into the North Sea for a refreshing morning dip, joined by a few selkie (seal) friends. Needless to say, it was a truly invigorating experience!! We had a GPwSI theme for the workshop, covering obstetrics, paediatrics, dermatology, women's health and voluntary work abroad. The talks were all given by local GPs. One of our community nursing colleagues spoke to us about healthcare on non-doctor islands, and the role of the intermediate care team. An hour's tour of The Shetland Museum provided us all with a succinct (if compact!) history of the islands, knowledge of the community and appreciation of what life has been like here through the ages. On the Thursday evening we attended our local GP and hospital consultant educational evening, before thirty of us headed out for dinner. It was really great to see a mix of trainees, GPs and hospital specialists mingling and exchanging stories. The following day we focussed on rural recruitment and retainment, and video conferenced two of our colleagues in Oban who gave a presentation on their OOPE in Uganda. We then visited our local coastguard station for a tour and talk about what HM Coastguard does in the community here. On the Friday evening, those of us remaining headed out to the South Mainland Up Helly Aa Viking fire festival. A real spectacle! Not only is there a torchlit procession, but then an evening of acts/ sketches and dancing in local village halls across the region. This was the first time that I had organised anything like this. It was a big learning curve, and I am pleased that it seems to have been a worthwhile event for those attending. For those considering putting in an application for the Round 1 Re advertisement of GP recruitment for August 2016 start date here are the important dates. 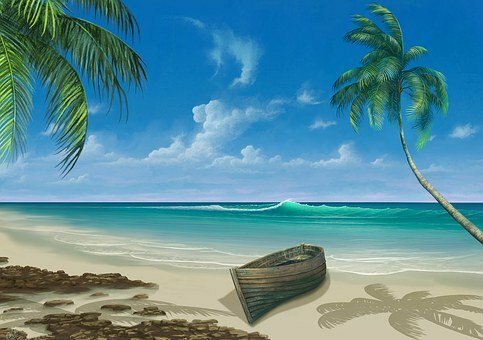 At the present time we do not have final figures for the current recruitment round so are unable to give an idea of how many posts we will be offering in the re-advertisement round. As soon as we have finalised the posts taken up in the present round we will post those available in the re-advertisement round. This will not be before the Upgrade deadline of 24th March 2016. Groupwork is an integral part of GP training. Here, a group of our ST1s who started in August 2015 and currently in general practice talk about their experiences of groupwork. "We have thoroughly enjoyed the beginning of GP training. The day release sessions have been both helpful and enjoyable. These sessions take part on a Wednesday morning where we chat in small groups of around 5. We organise the sessions ourselves and pick interesting or challenging topics. In the first half we organise a PBSGL module. These modules are specifically designed for GP trainees including cases and references to up to date guidelines. The second half is facilitated by a local GP who has been very approachable with a relaxed manner. This is a fantastic opportunity to discuss difficulties in a safe environment. The peer support is invaluable and comparing and contrasting our practices has been interesting. There is a great camaraderie within the group where we can be honest about our difficulties and feel we are safely supported throughout our training." 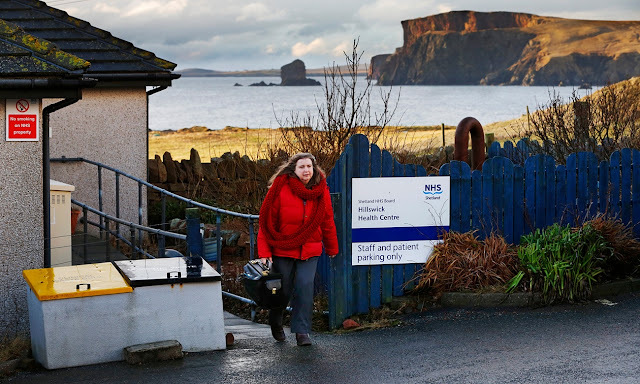 The Guardian featured this excellent article on dr Susan Bowie, a GP in Hillswick on Shetland. It explains why our Rural Track program is so important and can be so rewarding. Take 5 minutes out from your hectic day and see what life can be like as a remote and rural GP. North of Scotland, Winter Sports Capital! For all you winter sports enthusiasts, why would you not want this on your doorstep? 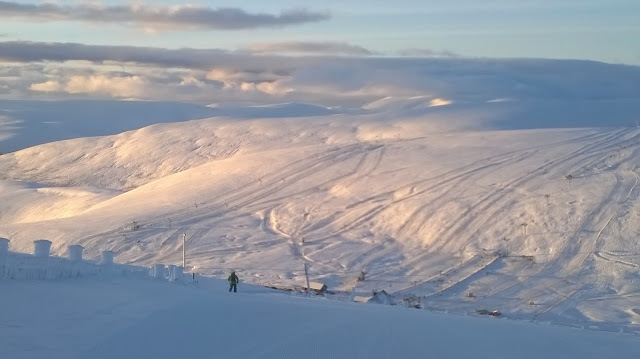 This was the Lecht ski area at 9.30 on Sunday morning, the sun had just come up, fantastic views across the Cairngorms and barely a person to be seen. So why not come and train in the North of Scotland. Our training practices in Aberdeen and Aberdeenshire are within an easy drive of the Lecht and Glenshee whilst the Caledonian scheme practices are within easy reach of Aviemore and the Lecht. Alternatively you can head westwards and join the Rural Track program with centres in Oban, handy for Glencoe, and Fort William which has Aonach Mor on its doorstep. So if its winter sports that are your passion, there is only one destination for your training! We have now published the rotations for GP Specialty Training in the North of Scotland. We have 58 posts available this year with 12 in the Rural Track Program and 23 in each of the Grampian and Caledonian programs. 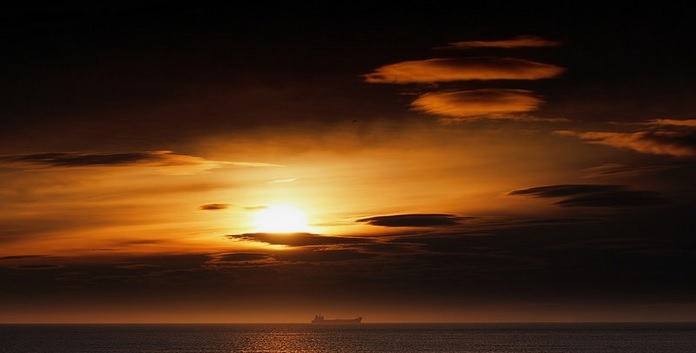 So why not come and join us in the North of Scotland and see the sun rise on your career in general practice! What do you want from life? Less stress? More time to think? More time to look after your patients? A chance to connect with a small tight knit community? A chance to live closer to nature…. and further away from the traffic jams and frenetic lifestyles of modern existence? Then why not consider our Rural track GP Specialty Training program. Based around our rural general hospitals in Kirkwall, Lerwick, Stornoway, Oban, Wick and Fort William this program offers a fantastic opportunity to experience the rewards of rural general practice. This video was produced by Dr Gerry Wheeler a GP on North Uist to promote their partnership post and gives a great feel for the Outer Isles and what they have to offer.